Greenland and the Faroe Islands want their say in the Kingdom of Denmark’s foreign policy to extend beyond purely Arctic issues. This Thursday, Denmark’s national assembly, the Folketing, will debate the government’s most recent two-year foreign policy and security strategy. A practice begun in 2017, publication of a strategy represents a statement of intent about which foreign-policy issues Copenhagen expects to be devoting most of its attention to in the short-term, and, more importantly, details about specific initiatives the government expects to pursue in these areas. Such a list, the foreign ministry admitted in the 2017-2018 strategy, can never be exhaustive, but in a world of limited resources, they are the areas where Denmark can do most to define itself and its international role. As with the current period, 2019-2020 will see Copenhagen continue to build up the Arctic as a region of peaceful and sustainable economic development, in part by investing in young people and entrepreneurialism in the region. This is unlikely to stir up much debate amongst lawmakers in the Folketing. A touchier subject will be to what extent Greenland and the Faroe Islands should be involved when it comes to foreign-affairs issues that affect them less than they do the kingdom as a whole. 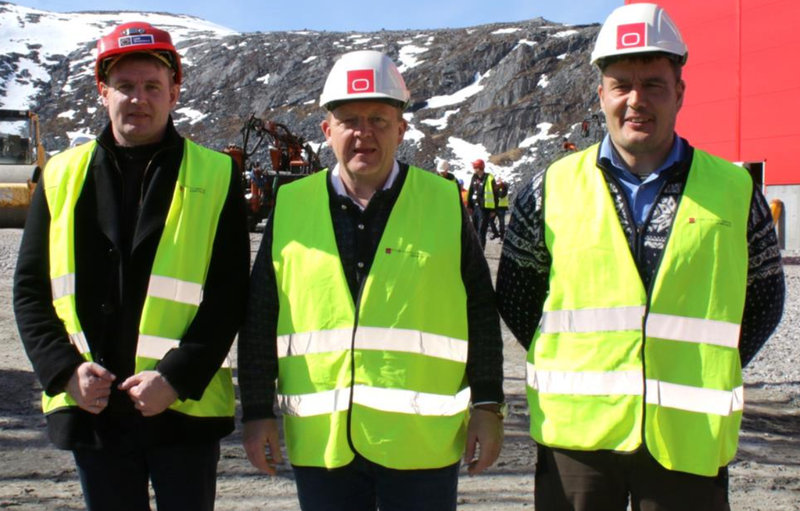 Long a stated wish in both Nuuk and Tórshavn, the issue has become more pressing as the two countries continue to develop interests abroad that are independent and sometimes divergent from Copenhagen’s. Officially, neither Nuuk nor Tórshavn has the authority to make decisions about foreign policy. In reality, both do so anyway. Both have cabinet members responsible for foreign affairs, and both have a steadily growing network of offices in foreign capitals that seek to promote their interests. According to the letter of their agreements with Copenhagen, both Nuuk and Tórshavn may have dealings with foreign powers, but they are limited to areas like commerce, education, culture and other areas that have been devolved to them. Foreign policy and security issues remain off limits. Copenhagen, uncontroversially amongst members of the Folketing, already involves Nuuk and Tórshavn in foreign-policy questions relating to the Arctic. All three countries, for example, are represented in the Kingdom of Denmark’s Arctic Council delegation. Also when it comes to international issues that relate directly to Greenland and the Faroe Islands, Denmark seeks to speak on behalf of the entire kingdom, despite the paradoxes it may present. Take whaling: the rules of the International Whaling Commission require Denmark, which, as a member of the EU, is part of an anti-whaling bloc, to speak on behalf of Greenland and the Faroe Islands, which demand expanded whaling rights. In other areas that may have a substantial impact on the two countries, their wishes are sometimes less of a concern. Copenhagen has twice intervened when it appeared China was close to investing in infrastructure in Greenland. Similarly, Danish lawmakers found it necessary to have a final say on whether Greenland should be able to export uranium and other natural resources that could have a strategic use. In situations like these, Copenhagen’s foreign-policy considerations, it turns out, trump Nuuk’s authority to make decisions about domestic affairs. Also this week, in Brussels, the countries taking part in the Northern Dimension, an initiative concerned with development in the Arctic and Baltic regions, holds two separate meetings related to the Arctic. The first, on Monday, will take up the issue of black carbon, a pollutant that is linked to human health problems and which may cause sea ice to melt at a faster pace. The second, on Tuesday, looks into how China’s Belt and Road Initiative, a sprawling infrastructure-investment plan, will impact Europe’s northernmost reaches. Neither topic is unique, but both meetings rate a mention less for what they will bring up than for whom they will bring together. Dating back to 1999, the Northern Dimension promotes cooperation amongst the EU, Iceland, Norway and Russia as a way to address regional issues. America and Canada are also involved, while Belarus gets a say in questions related to the Baltic Sea region. Development issues, particularly as they relate to cold-climate conditions, long distances, wide disparities in standards of living, environmental concerns and insufficient transport, are a main focus. These days any Arctic gathering that includes Russia is held up as proof of the region’s exceptional status in international affairs — that while major powers bicker over other regions, co-operation in the North continues apace. Such bickering, however, has not been without its consequences for the Arctic. Ever since Brussels imposed sanctions on Moscow over its 2014 annexation of Crimea, Russia has blocked the EU from joining the Arctic Council as a full-fledged observer.